Latest Update: Lucknow University has reverted its decision of making CAT mandatory for MBA Admission for the academic year 2018-19. Get more details by following the link given below. Educational Qualification: The candidates must be passed graduation in any stream with the 10+2+3 system from any University recognized college or university with minimum 50% aggregate marks. The candidates belonging to SC/ST community should have secured minimum 45% marks in graduation. Qualifying Exam: The candidates must appear in CAT (Common Admission Test) exam this year and have to secure minimum required marks. Alternate Mobile Number (preferably of the parent). Scanned Photo in JPEG Format (maximum 50 kb). Scanned Signature in JPEG Format (maximum 50 kb). High School, Intermediate, and Graduation Mark Sheet. Photo ID Proof (for Entering Number). The candidates have to fill the provided registration form by entering basic personal details and contact details such as email ID and mobile number. Now, the candidates will receive their login details in the mobile number and email ID. Now, the candidates have to log in for filling the main application form online. The candidates have to now fill the application form by entering their personal details, educational qualifications details, CAT registration details, contact details, and address. After filling the application form, the candidates have to now upload their latest colour photograph and signature. Now the candidates have to preview the filled application form. If there is some error in the filled application form the candidates can edit it or start the entire application process again because once the candidates submitted the application fee and data they cannot edit it in any circumstances. After making sure that the filled details in the application form are correct, the candidates have to now make payment of the University of Lucknow MBA Admission application fee. The candidates can pay the application using online mode of making the payment which are the credit card, debit card or net banking. 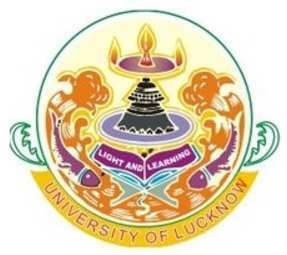 The candidates can submit the University of Lucknow MBA Admission application form through online mode only. After submission of the application form, the candidates have to take a print out of application form and fee receipt. The candidates have to keep it safe for future uses. The candidates have not to send any hard copy of the filled application form via post. Some information can be edited by the candidate by logging in to the admission website using the credentials sent to their email and registered mobile number. In case the candidate has missed out on the login details they can regenerate their password by clicking on the forgot password link and entering their registration number. The new login details would be sent to their registered mobile number. The data submitted in the registration page and the opted category cannot be edited under any circumstances. The candidates will be selected for admission to their desired MBA program offered at University of Lucknow on the basis of their performance in CAT 2017 and a personal interview which will be conducted at University of Lucknow. The written component of CAT 2017 and personal interview will account for a merit score of 80 and 20 gradually. A final merit list for all candidates who have applied and appeared for the personal interview will be released in the concerned department and the official website of the University of Lucknow. The candidates can also check the merit list on this page. First preference would be given to the candidate who secured a high percentage of marks in class 12. If the marks secured in class 12 or equivalent examination is still same then the preference will be given to the candidate who secures higher percentage of marks in High School. If the marks obtained at the High School examination are still the same, then the older candidate will be offered seats.